Before last month, the last time I had my eyes examined by an optician was a few years back. During university I felt like my eyes were struggling with the long days sat in front of a laptop, so I waited until a certain big brand optician handed out free eye test leaflets and I took full advantage of the freebie. The whole process was quick and I was out within five minutes with a prescription in my hand that advised me I was slightly long-sighted. After that, I felt a little pressured to purchase frames then and there on the spot, but knowing fully well in my mind that my student bank balance could not afford to make a decision so quickly, so after making some excuse, I scampered out of there quickly. 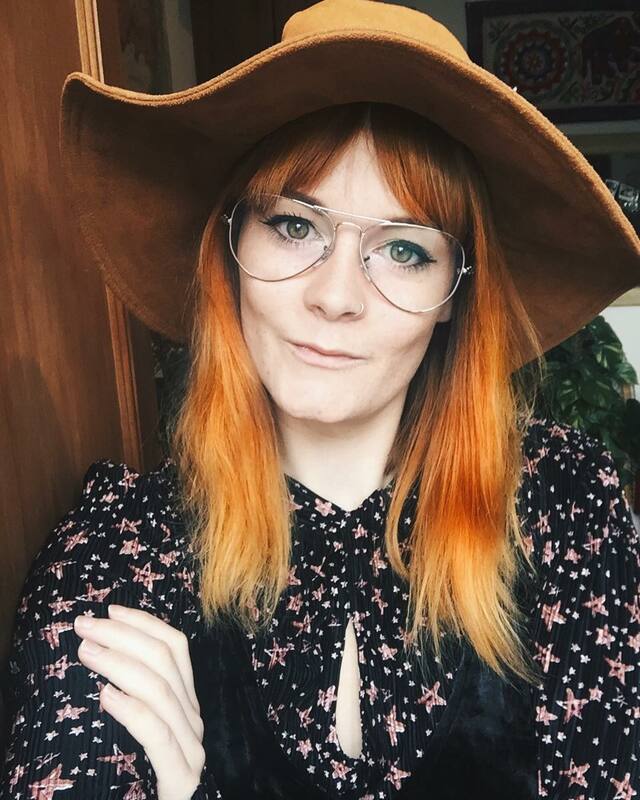 I somehow managed to cheat the system and ended up ordering a pair of frames online for a considerable amount less than the frames that were on offer in the store that day. However, the only issue with ordering frames online is that you can't try them on before purchasing them. 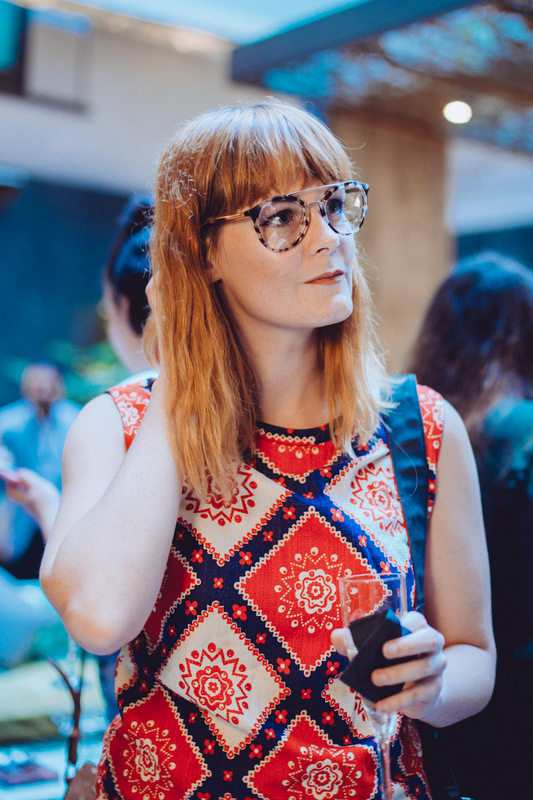 There are AR webcam facilities that exist on some websites, but unfortunately it's just not the same as physically trying out multiple pairs of frames in-store to find the perfect ones to suit your face. I've found that since ordering those frames online a few years ago, I don't really wear them because I'm not 100% happy with them on my face. 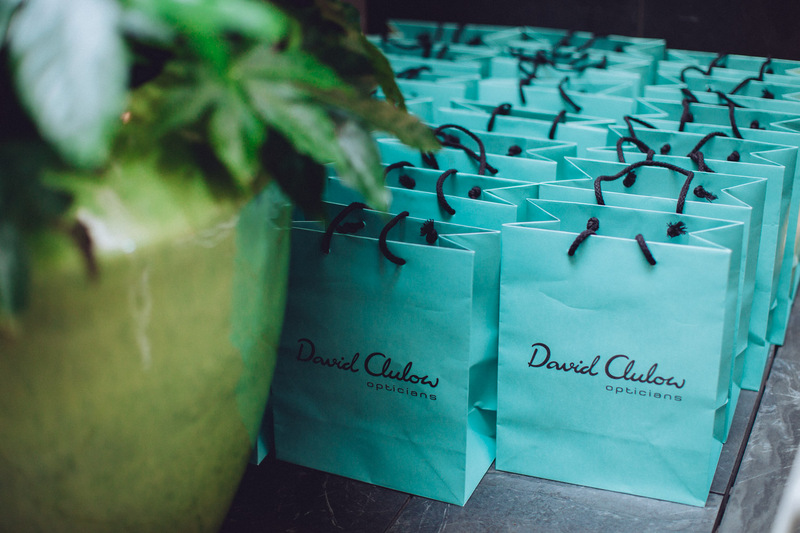 Last month, I was invited to an intimate pre-London Fashion Week style event hosted by luxury opticians, David Clulow. 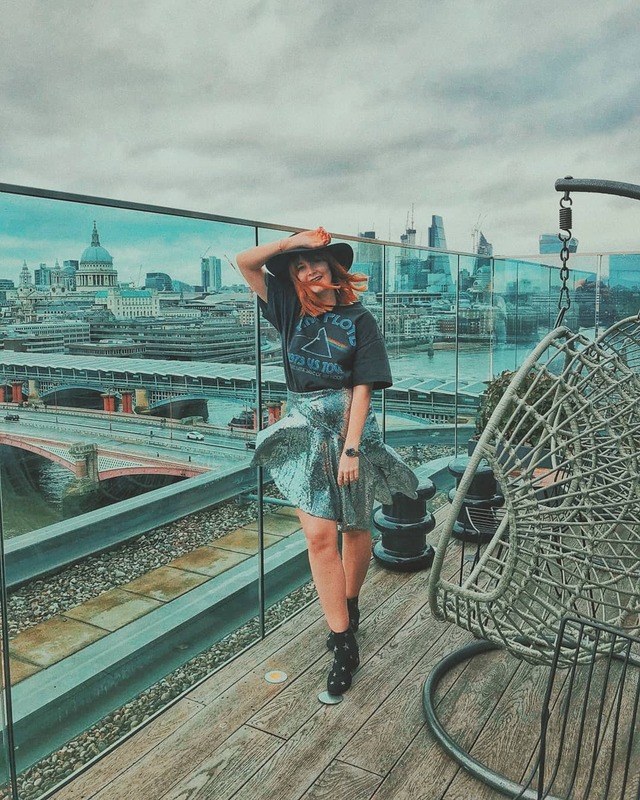 I didn't actually attend London Fashion Week this year, but it seemed like the perfect opportunity to have my eyes re-examined over a few bubbles. 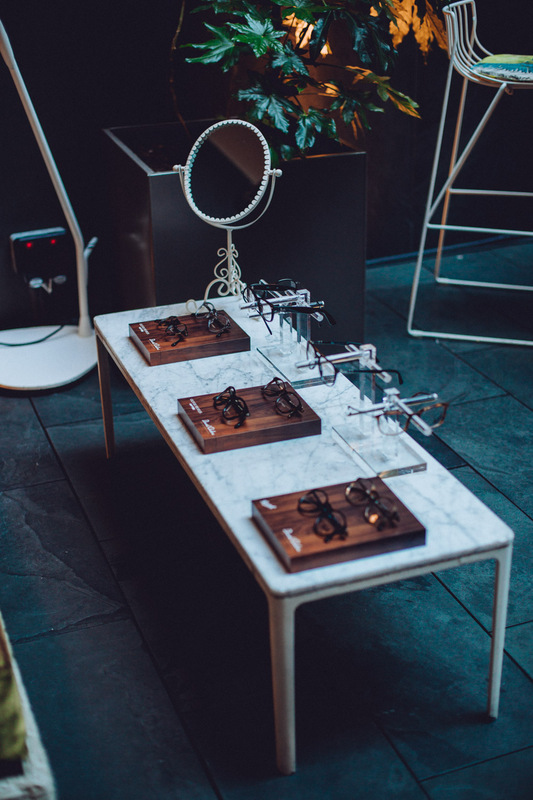 When I arrived at the Secret Garden Room in the South Place hotel, I found there were a variety of frames presented on tables across the venue and plenty of bloggers en masse trying them on. I was instantly drawn to a pair of silver Ray Ban, oversized aviators and tried them on feeling a little unsure if they were too brash. Don't get me wrong - I absolutely loved them, but I wasn't sure if I had the confidence to pull them off. I had a feeling I was looking more Deidre Barlow than Olivia Palermo. Quickly, I moved onto trying out some other frames but nothing seemed to quite grab me like the aviators did. 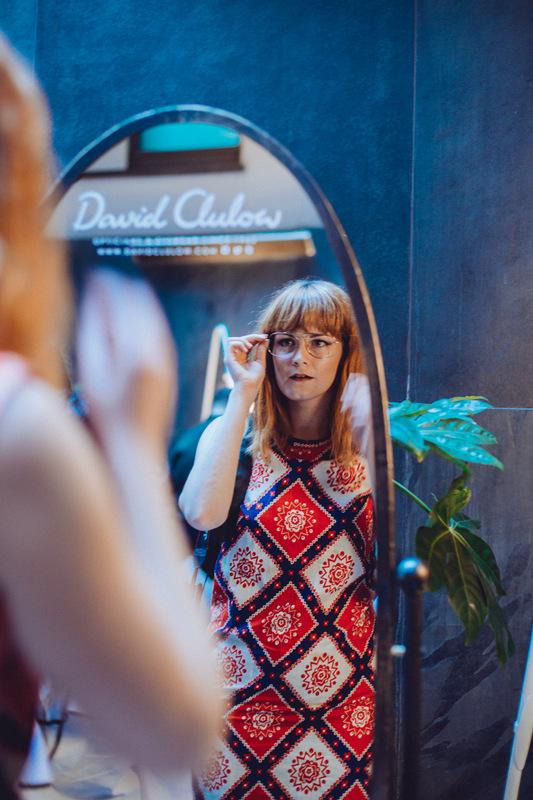 Whilst holding a pair of pale pink frames in my hand, one of the representatives at David Clulow looked at them with an unsure look and said, "I'm not sure that the colour of these frames will suit your skin tone." I was taken aback a little, but not because I was offended, but because she was being refreshingly honest for someone whose job it is to sell frames. "Try them on and see what you think," she urged. So I did. And you know what? The pale pink shade of the frames blended into my pale skin. By golly, she was right! 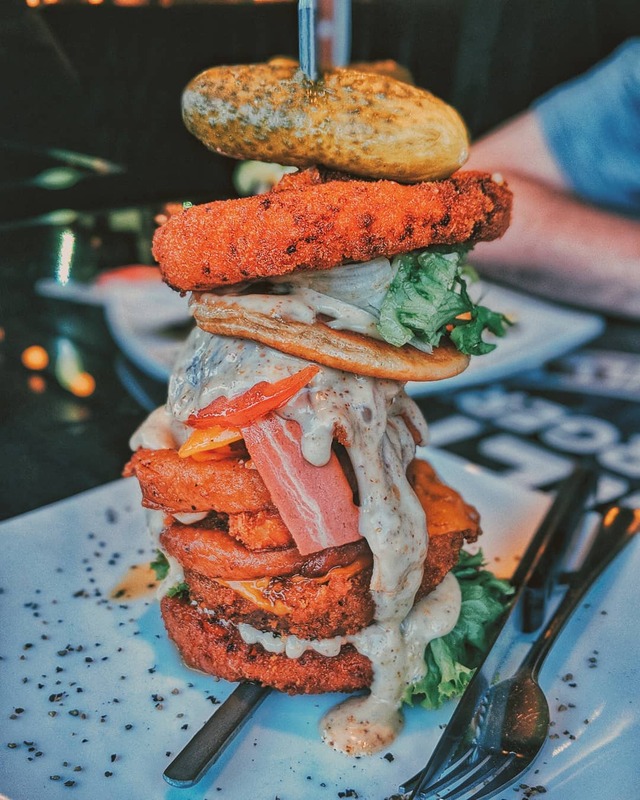 "Do you know which ones I think will suit you? 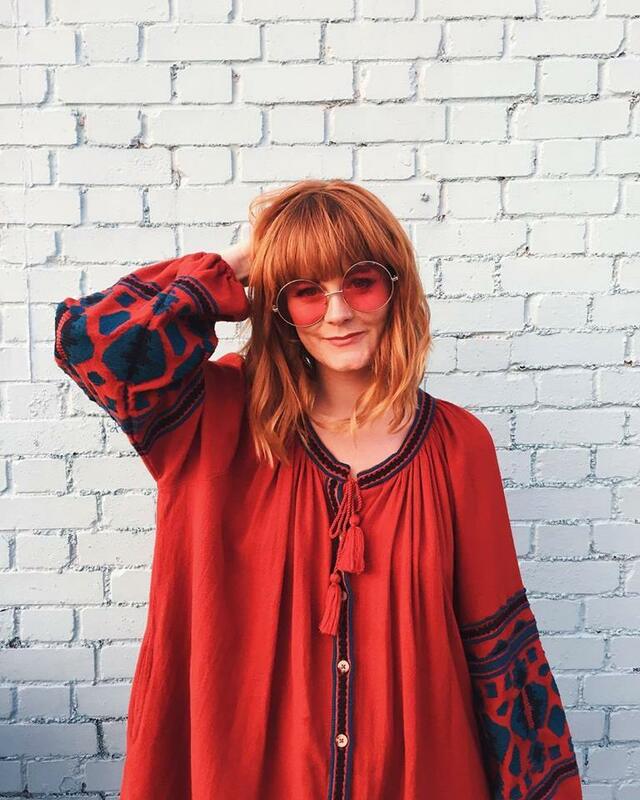 These Ray Ban aviators - try them on!" she continued as she handed me the exact pair that I had originally been drawn to earlier in the evening. Knowing I had tried them already, I put them back on again and looked in the mirror. I bloody loved them! I had loved them from the moment that I had first tried them on, but that moment of self-doubt had made me place them back down. Upon finding out they were the only frames in that style left, I knew that I had to have them so I laid my claim upon them until the end of the night. During the event, we were all invited to try out the Auto Refractor, which is part of every David Clulow pre-screen eye test, and can estimate your prescription within just 30 seconds. Once again, my estimated prescription appeared as being the slightest bit long-sighted but I was invited for a full eye examination at my local David Clulow store before my prescription lenses would be fitted into my shiny new frames. 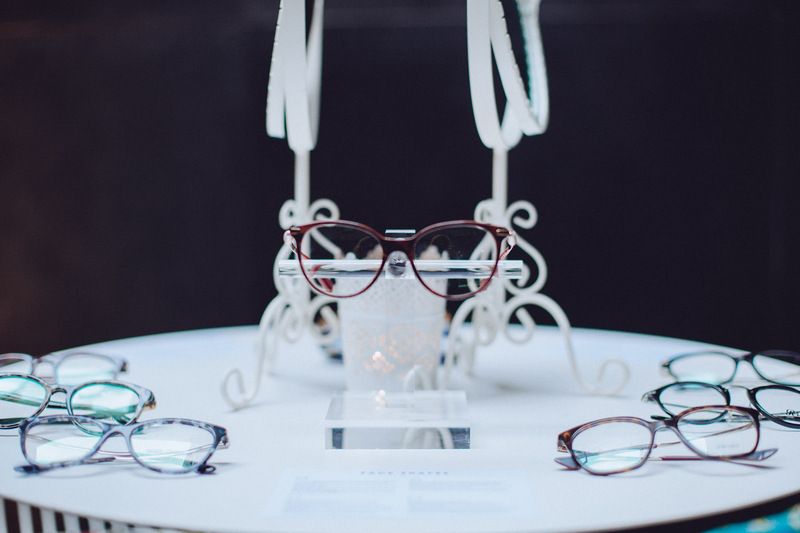 A couple of weeks later, after arranging an appointment via Marie from the Islington store on the night of the event, I headed to my local store in Angel to have my eyes fully examined. Admittedly, I've not had regular eye tests throughout my lifetime, however I think it's fair to say that my eye examination at David Clulow was thorough. The entire examination took around thirty minutes, using several different pieces of eye technology and equipment that are suited to your eye care needs. When I mentioned that I've suffered from migraines for nearly a decade, my optician suggested that we should measure the pressure inside my eye to rule out a chronic glaucoma. Luckily, it was ruled out - phew - but it was reassuring to have it checked out, just in case. My prescription at the end of the examination came out with identical results to the Auto Refractor that had predicted my prescription on the night of the event. So yes, I am a little bit long-sighted, which actually makes me great for reading the number of an approaching bus when waiting for one, FYI. The staff at David Clulow then placed the frames on my face and marked exactly where the my eyes sat in correlation to the lens to ensure they were fitted correctly for my eyes. I was told to expect my frames to be ready for collection within 7 - 10 working days, but I received a phone call just 4 working days later letting me know that my glasses were ready for collection! The turnaround was impressively fast. When I did collect them the staff once again made sure that they were comfortable and didn't need any further adjustments before letting me leave with them. It was so nice to have a team that truly wanted me to be happy and 100% comfortable with my glasses. 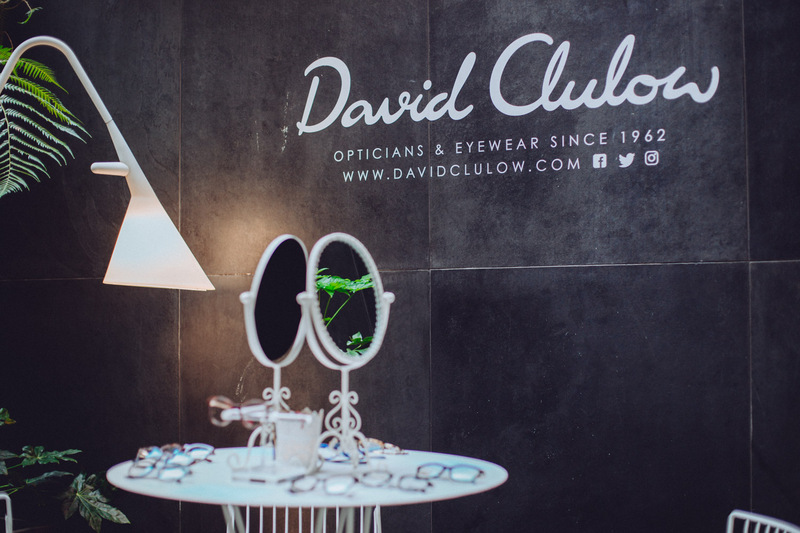 I'm confident that I'll be booking all of my future eye care appointments via David Clulow ...specifically the Islington branch, because they're all bloody fantastic! My chosen frames were these silver Ray Ban Aviators. Choosing frames is really hard and it is really important to have good people assisting. David Clulow sounds like the place to go. I love choosing frames and will be doing just that next week! The frames you chose are lovely. I find it so hard to pick frames which suit my face. I love the ones you picked. I really like your avatars, they are often a shape I go for for sunglasses. 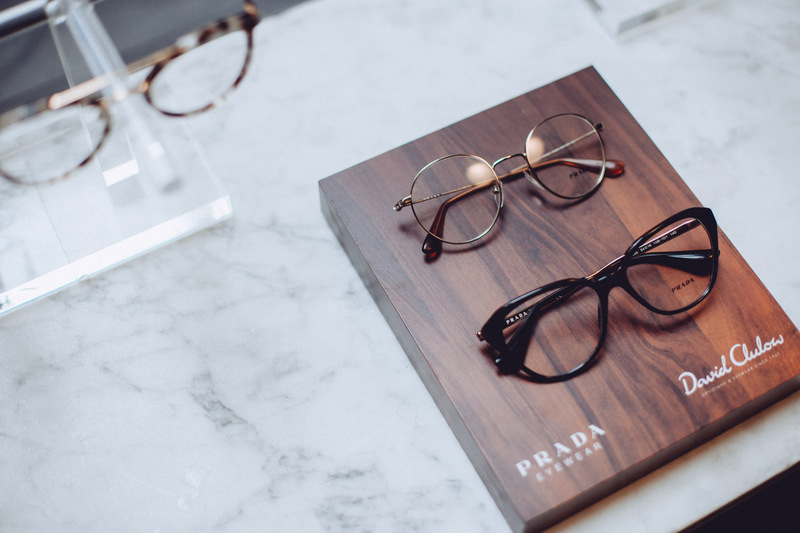 Having the right help to chose frames is so important. Which is why my own Mother will travel two hours to go to the place she trusts. My daughter recently had to chose frames, and she hasn't the best confidence (16 years old). Unfortunately we felt rushed, and didn't get much help. Would have been lovely to have the experience you had.